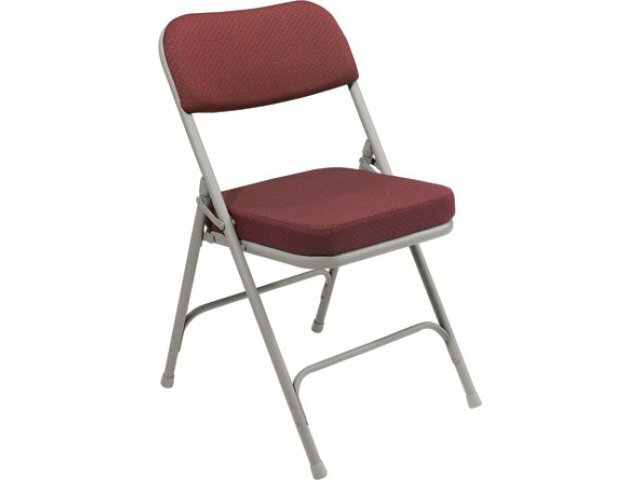 An affordable padded folding chair that combines the superior strength of a steel design with the comfort and professional look of a chair with fabric upholstery and a seat with extra cushioning (2 inches of foam). The frame is made completely from sturdy 18-gauge steel. 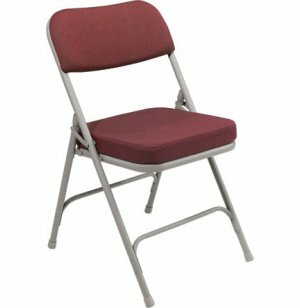 This padded folding chair has double hinges on each side which enhance stability and ease opening and folding down. 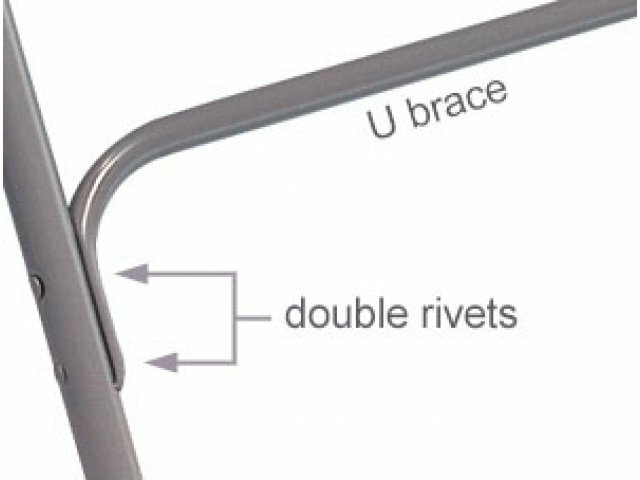 Another great design feature is the fact that it has the two U-shaped cross braces which are double riveted to the frame for extra stability. 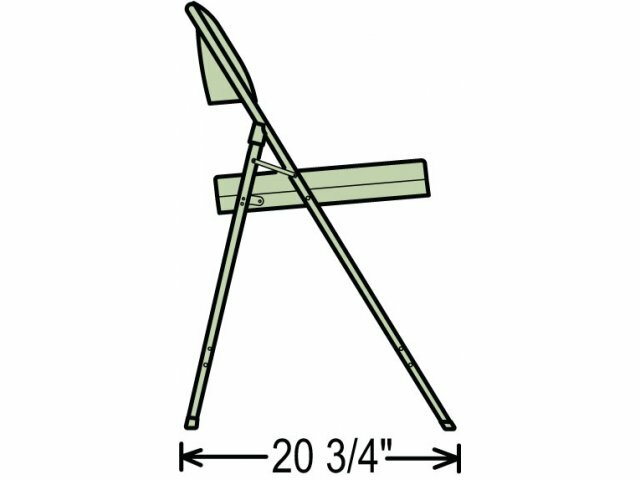 These design features mean that this padded folding chair has a rated weight capacity of 300 pounds. Yet this durable padded folding chair is surprisingly comfortable. That's because of the soft fabric upholstery and generous two-inch padded seat. Scotch-guarded fabric means that these folding chairs will continue to look great even after years of heavy use. 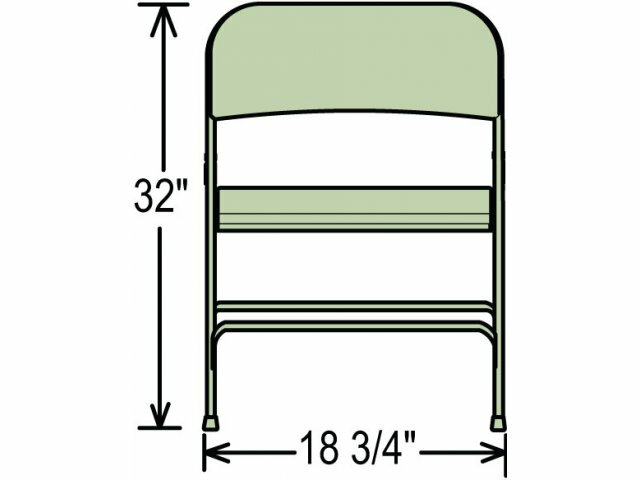 These folding chairs are perfect for wherever you need to add more seating on a permanent or temporary basis. Scotchguard pushes stains and spills away from fabric so it is easy to clean off. Comfortable: A fully-upholstered double contoured back provides excellent support during services, lectures or presentations. Extra Padding: With 2"-thick padded seats the audience will forget they are sitting in folding chairs. Safety First: Seats consists of CA-approved-flame-retardant foam on 3/16"-thick treated hardboard. Super Sturdy: The 18-gauge ? "-thick round tubular steel frame with two u-shaped double-riveted cross-braces provides superior support. Attractive Choices: The textured-metal frame finish complements the selection of fabric colors beautifully. 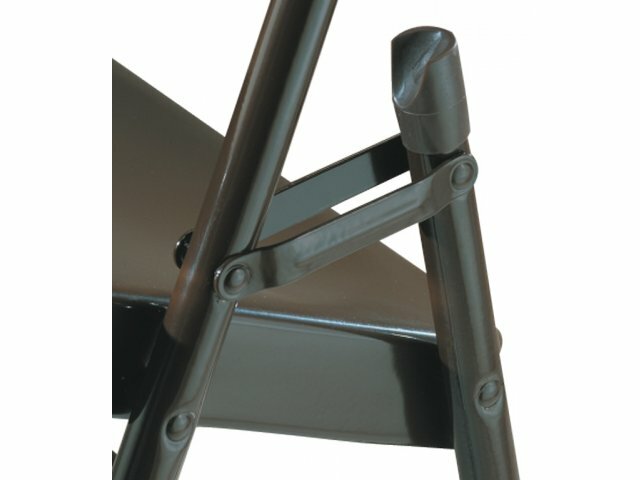 Easy Setup: Double hinges on chair sides make them easy to open or fold closed. Floor Protection: Non-marring replaceable glides match the frame color and keep your floors in excellent shape.